READY NOW! Great Value. 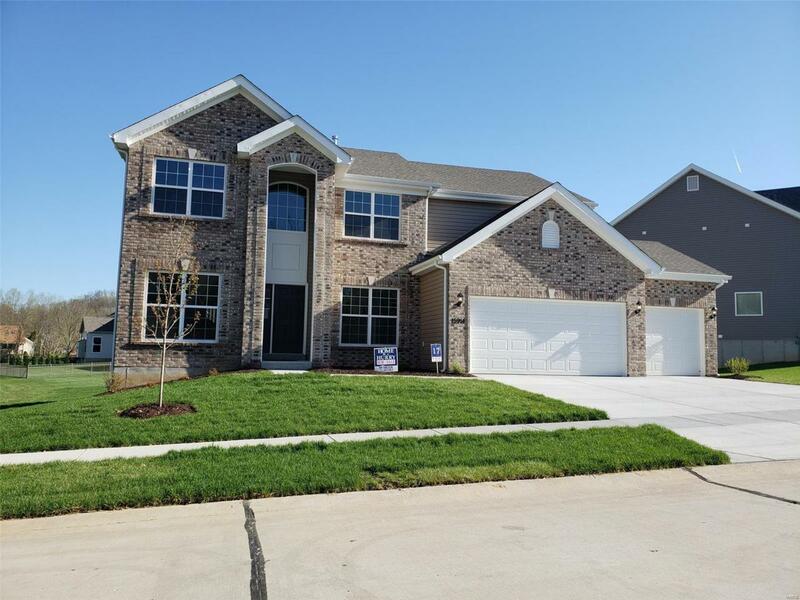 New 2 Story Home with 3 car garage. Many upgrades throughout the home including: Gas Fireplace in Family Room, Stainless Steel GE Kitchen Appliances with Double Oven and Cooktop, Large Kitchen Island with Breakfast Bar, Butler's Pantry and Dry Bar off Kitchen Area, Flagstone Aristokraft Cabinets, 42" Tall Kitchen Wall Cabinets, Bay Windows in Family Room, 9Ft Ceilings on 1st Floor, Sculpted Ceiling in Dining Room, Additional Window at Stairway and Kitchen, Open Spindled Railing at Stairway, Ceiling Fan in Master Bedroom and Family Room, Sitting Room in Master Bedroom, Upgraded Master Bath with Double Sinks, Separate Tub and Walk In Shower, Enclosed Toilet Area, White Two Panel Doors with Venetian Bronze Hardware, 16x12Ft Concrete Back Patio, Dual Zone HVAC, 3/4 Bath Rough In Basement, 30 Year Architectural Shingles, Enclosed Soffit and Fascia. Located just minutes from Castlewood State Park. Virtual tour is of former model home.